Knife crime: Fatal stabbings at highest level since records began in 1946. 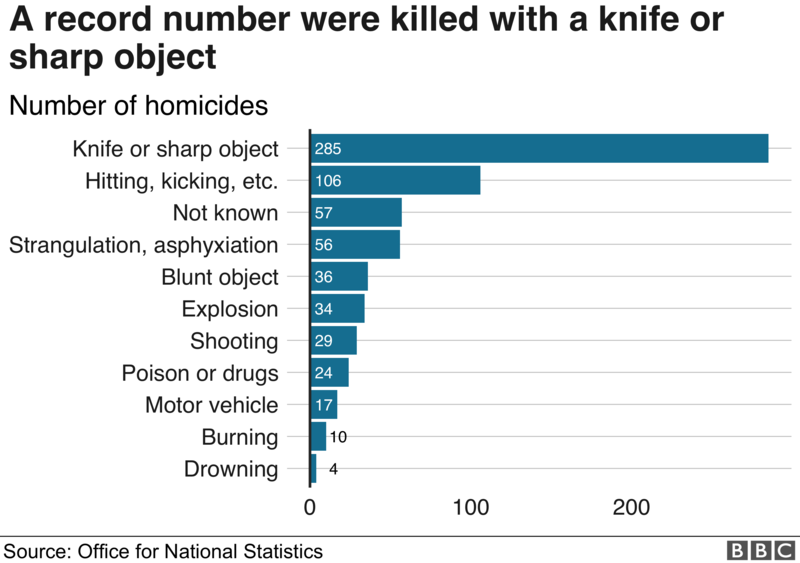 The number of fatal stabbings in England and Wales last year was the highest ever recorded, the Office for National Statistics says. There were 285 killings by a knife or sharp instrument in the 12 months ending March 2018, ONS analysis shows. The number is the highest since records began in 1946. The ONS says a recent increase in murder and manslaughter has been most pronounced among male victims and younger age groups. Re: Knife crime: Fatal stabbings at highest level since records began in 1946. Probably should ban knives or something.